If you are keen on sports and want to share this passion with the world, building a sports website is the solution for you. The only problem is that you have no idea where to start. Well, worry not, because ETNHost is here with a brand new chapter of the “How To?” series, and we are happy to throw some light on the subject. As per usual, we are beginning with the foundation and the most essential part of building your website. You should choose a suitable, for you and your budget, hosting plan and a domain name that responds best to your website. The hosting plan that you choose is much like buying a piece of land, a big piece of land means that you can build a big house. 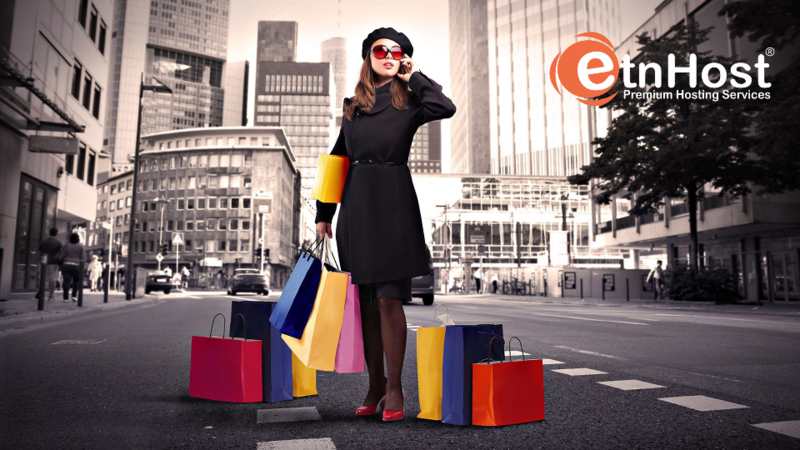 ETNHost offers web hosting plans for all types of needs, and for all types of people – from newbies to pros. Choosing the right domain name is a topic, which we have discussed in depth in our 10 Tips on Choosing The Right Domain Name article. The Installation of WordPress is pretty easy. We have already discussed in depth the process of installing WordPress and themes for WordPress in our How to Build a Website Using WordPress article. You may check it and follow the steps provided. GYM - Sport Fitness Bootstrap Theme - It is easy to use premium theme, which is best for personal trainers, fitnesses, yoga centers and pretty much everything sports related. It is fully responsive and includes blog page, contact page, contact form and timetable and so on. It is a good choice for you if you have no programming skills whatsoever. Yoga - As the name suggests, Yoga is perfect if you are building a health and yoga website. It offers many languages and over 80 shortcodes. It is fully responsive and has lots of features, tools, and widgets all at your disposal. Sport & Fitness - Another beautiful and easy to use premium theme. Having a sports site is not all about sports games. This theme is perfect for the type of site that wishes to dedicate a little something to the health benefits that the types of sports are bringing to the body. Personal trainers and fitness clubs will appreciate this theme on a large scale. It has lots of unique features like tariff table creator, gym activities organizer and much more. SportAK - Is a theme developed especially for Football/Soccer clubs. It is also suitable for other types of sports such as Handbal, Hockey, Basketball, Volleyball and so on. Wit it you can create an amazingly looking website which will be well appreciated by your visitors. The theme has amazing features such as custom widgets, gallery and video post formats, page templates, it is fully responsive and user friendly. Real Soccer - And finally we get to a theme that is all about football. It is perfect for all football clubs and for sports clubs in general. If you want to build a website for dedicated to sports that don't include only football, but also basketball, tennis, golf, even fitness , then this is the theme for you. It is every athlete's dream. The theme is responsive, easy to implement and use. It has a high resolution and was recently updated. Of course, if you don't want to spend money on premium themes, here are a couple of sports themes, available for free on WordPress. SportsMag - It is a theme that is filled with features. It is absolutely free, fully responsive, and fun! SportsMag is perfect for magazines, blogs, personal websites and so on. It has a custom menu, background, and other theme options. Sporty - Another free WordPress theme with lots of features like custom header and menu. It has a responsive and fluid layout as well. Each and every website has elements, essential to its structure. For the different types of sites, there are different elements needed. It really depends on what kind of website you are building. It matters, if you want to build a website dedicated to fitness or to yoga, to football, basketball or sports in general. No matter what type of site you choose to have, there are things that it must include. Images - people enjoy them, because they tell a story. It is always better to have something visually stimulating next to a plain text. It keeps the visitor interested. However, you probably shouldn't go over the top with the images that you put on your site. Everything should be within its limits. What You Offer – you should inform people what types of sports you offer, or what type of training. For what age groups is it appropriate. Tell everything there is to tell about your program/s. What types of programs do you offer, and again who are they suitable for. Schedule – people would like to know what is the schedule of the trainer/s and when the practices take place. This schedule should be web based, but it would be a good idea to put a PDF file, ready for downloading an printing for the convenience of the visitors. Social Media – you should know that people are most likely to find you via the social media – Twitter; Facebook; Google +. They are the monsters that rule the Internet, and you should really take advantage of them and learn how to use them to your advantage. You can keep your followers in the loop, and at same time attract new visitors to your website. Contact – People should be able to reach you, so this is why you should dedicate a page for a phone number, e-mail and a contact form. Via social media – it's free, and keeps you close to your followers. Via Web Banners – this is a really common way of web advertising, that has proven really effective over the years. Via Google Adwords – This way you will be seen bay more people and you will achieve a higher ranking, but it will cost you per click. So those were our tips on How To Build a Sports Website. Leave us a comment, if you find our tips helpful. And if you enjoy this article, please don't hesitate to like and share it. 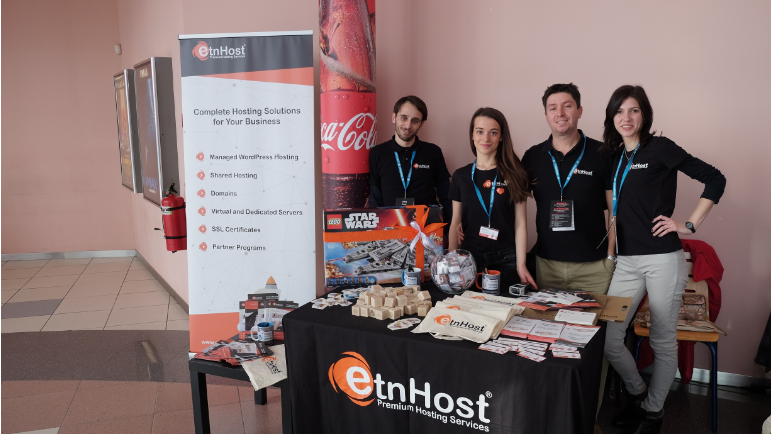 ETNHost wishes you happy site building!